personalized services so you wont have to worry about anything and can dive into the party and live the experience of a San Fermin with fullness. In Taxiberia we deal with the transfer from the airport (usually in airports such as Madrid, Bilbao, Biarritz, Santander or Hondarribia) to your hotel and transfers you want to do during your stay in Pamplona. 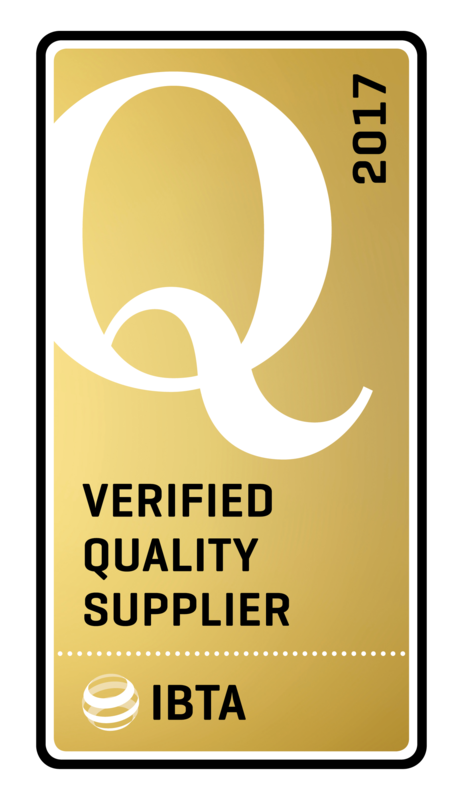 Online Hiring these services and our prices will avoid unpleasant surprises closed when pay and has the guarantee of a company and a few experts in which you can rely. Our chauffeurs are well acquainted with the city and what it offers during this festive week, so they can guide you at all times so you can fully enjoy a unique experience. Worldwide associate the festival of San Fermin at the borders and it is true that these are an essential part of the party, a reference that is special about Pamplona and its festivities. It is also known worldwide openness of the party, the atmosphere of the streets, guaranteed fun and multiculturalism of the people who come to enjoy the San Fermin festival. milestones Party, does not hurt to do a review of what activities can not miss if we go to Pamplona during that magical week of the month of July. It is the beginning of the party, the moment that thousands of people waiting for a year and where festive madness erupts in Pamplona. At 12 noon on July 6, Plaza Hall is crowded with people waiting for the explosion of the rocket that starts seven-day feast in which Pamplona is completely transformed to become the party capital of the world. It is the time when thousands are uncorked bottles of cava and red scarves, which hitherto has been knotted at the wrist, are placed in the neck, as a symbol that the fun has officially begun. Living the loud bang from inside City Hall Square is a unique experience, something unique and remember for a lifetime. From that moment, the party spread throughout the city like wildfire. experiences in his novel “Fiesta“. Also can claim to be an unforgettable experience for those who participate in it. Keep in mind that the closure has its traditions and norms and is an activity that involves risks that can not be taken lightly, so it is important to know if we intend to run in front of bulls. Every day from 7 to July 14 and 8:00 in the morning released a pack of 6 bulls that run several sections from the center of Pamplona. 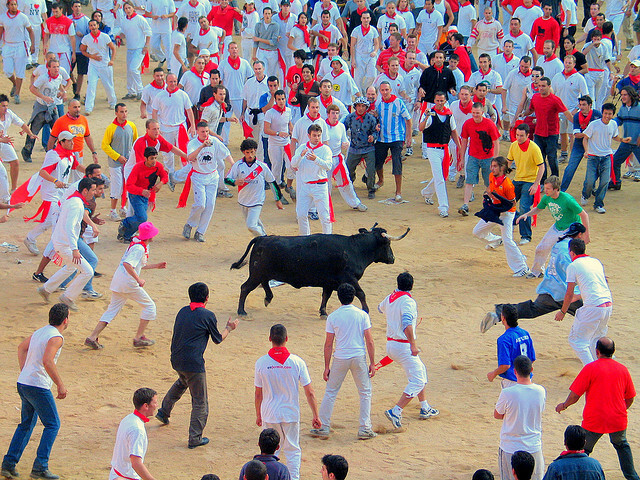 Contrary to what many people believe, the idea is not running in front of bulls during that tour, but each rider chooses a career section and makes a short but intense, adrenaline shoots who has the courage to be surrounded of real fighting bulls and a crowd that reacts differently to the onslaught of the pack. that make up the run, but can also be an event that wows people from other countries who visit us during these holidays. We can not forget that the holidays have a religious origin and that the July 7 is held in honor of San Fermin, the patron saint of Navarra, which gives its name to the festivities of Pamplona. That day is the procession of the saint’s image throughout the year is kept in the Church of San Lorenzo, out that day to walk the city streets accompanied by faithful and civil and ecclesiastical authorities. For the visitor is a good opportunity to meet an ancient tradition that retain the people who inhabit this city. During the days that the festival takes Pamplona, ​​we can enjoy a multitude of events that would be impossible to list them separately. In addition to the rocks and brass bands who set the party and we can find any street crossing the city, music lovers can enjoy concerts of all kinds, you can see the fireworks every night, attend dance performances or rural sports , have a good time in the amusement rides, etc. Thus, we see that there are some reasons to go to enjoy the San Fermin festival anywhere in the world, as it happens every year at this time. Therefore, it is essential to plan a trip and their details, as Pamplona became during those days in a crowded city, with accommodation fully booked and overflowing public transport services, so our recommendation is that if you want to celebrate in fullness, is put in the hands of professionals such as Taxiberia, who can help and advise at all times so that the party experience is completely satisfactory for you. In addition to its online booking on our website, if you need any advice, please contact us and we will be at your disposal to solve any problem you have. 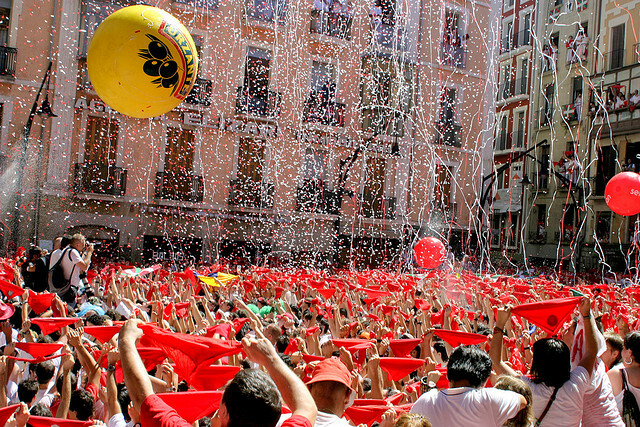 Our goal is to make your experience in San Fermin festival is as intense as possible. Welcome to the“fiesta”. The route along the Basque coast can obviously begin, both in the east and in the west and will depend on where we are staying. Both San Sebastián and Bilbao have excellent hotels where you can spend a few days to get to know the whole Basque geography. For both options you can count on the Taxiberia transfer service, so you can get to your hotel with the maximum comfort. We will start our route from the east, where the Bidasoa river runs in the bay of Txingudi and flows into the Cantabrico. The bay that separates and unites at the same time the towns of the French coast and the Spanish coast, is a protected wetland and of great ecological value since it is a zone of passage and refuge for numerous migratory birds. If we want to know much better this area, we can make one of the many routes that will discover us both the natural riches of the bay as well as its history and culture. The first coastal town we will visit is Hondarribia, a municipality located between the Txingudi bay and the Jaizkibel mountain. 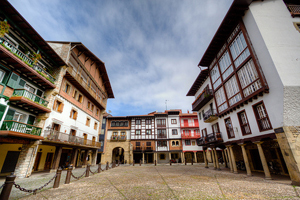 Hondarribia is a town of fishing tradition with a history marked by its border character and, therefore, strategic position in the conflicts between France and Spain. Both aspects are perfectly reflected in the current physiognomy of the old town of the town. On the one hand we can visit the neighborhood of the marina, where is the fishing port, which is still active although the local economy is now more focused on tourism and where we can walk among the traditional fishermen’s houses and enjoy some pintxos in their bars. On the other hand, the old part of the town is surrounded by a defensive wall and crowned by the castle of Carlos V, now converted into the Parador Nacional. The old part of Hondarribia offers beautiful corners, with old houses emblazoned and full of color with their balconies full of flowers. The military buildings that we can visit are completed with the Guadeloupe Fort, located on Mount Jaizkibel, very close to the sanctuary of the same name. We can not say goodbye to Hondarribia without visiting its beach and the marina. It is an ideal area to walk and enjoy the magnificent views, both of the bay of Txingudi, with the French town of Hendaya just opposite, and of the Jaizkibel mountain that protects the beach on the west. We head west following the coast and we leave behind the port area of Pasajes and the capital of Guipuzcoa, Donostia, a city that deserves an article in a near future. We pass by Orio and Zarautz and we stop in Getaria, another Gipuzkoan town with a long seafaring tradition. We will recognize it from afar thanks to the peninsula known as “El Ratón de Getaria” (mouse of Getaria) by its characteristic shape reminds us of the profile of this rodent. Getaria is known for being the birthplace of Juan Sebastian Elcano, the first sailor to sail around the world in the 16th century. Another famous son of the municipality was Cristobal de Balenciaga, the famous couturier who conquered Paris with his haute couture designs during the last century and that we can see in the modern museum that has been inaugurated in his native town. Another attraction of Getaria, besides its beach and the town itself, is the gastronomy. We are in the right place to enjoy a grilled fish in the traditional style, washed down with the famous txakoli of Getaria, a white wine typical of these lands and that little by little and thanks to the efforts of the local producers has earned a place among the most well-known Designations of Origin in Spain. We continue with our rush toward the west and perform a new stop in Lekeitio, already in Bizkaia. The town is located in a small bay formed by the mouth of the river Lea and protected by the island of San Nicolas. This is how the fishing port, the neuralgic center of a town that faces the sea and that has always lived on its offerings, is protected. At the foot of the port is the spectacular Gothic church of Santa Maria de la Asuncion, with its characteristic buttresses and flying buttresses crowned by pinnacles. In the interior, the main altarpiece in the Spanish-Flemish or Elizabethan Gothic style stands out. Before arriving at our next destination, it is worth making a quick visit to Elantxobe, a small fishing village characterized by the abruptness of its location. It is a succession of stepped houses, flanking the slope that ends in the small harbor built in the shelter of the mass of Cape Ogoño. We follow the coastal route until we reach Mundaka, in the Urdaibai Biosphere Reserve, a protected area formed by the estuary of the mouth of the Oka river. It is an area full of sand and rich fauna that deserves a visit by itself, but we will leave for another occasion, focusing this time on Mundaka, a town located on the left bank of the estuary. Mundaka is known for its left wave, bringing thousands of surfers from all over the world. A scoring event for the ASP WORLD TOUR, the world’s highest championship of this sport so visually attractive, is also being held in the town. For that reason, it is rare that there are always several people surfing in these waters, regardless of the year of the year in which we are. 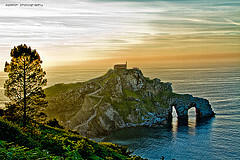 In Mundaka we are struck by its old town, which is pleasant to walk among narrow streets and old fishermen’s houses. We can also get closer to enjoy the views over the estuary and its sandy areas from the Hermitage of Santa Catalina, where we will also see the remains of a defensive fortress of the nineteenth century. we must overcome to reach the hermitage, a construction of the tenth century from where you can enjoy a spectacular view of the Biscayan coast. In addition, the area is within a protected biotype, which also includes the nearby coast of Cape Matxitxako, the northernmost point of the Basque Autonomous Community and from whose lighthouse you can sometimes see large cetaceans that cross this area of ​​the Cantabrian Sea. It’s time to put an end to our route. After passing through coastal towns such as Baki or Plentzia, we reach the Abra and Bilbao, the final point of our journey today. 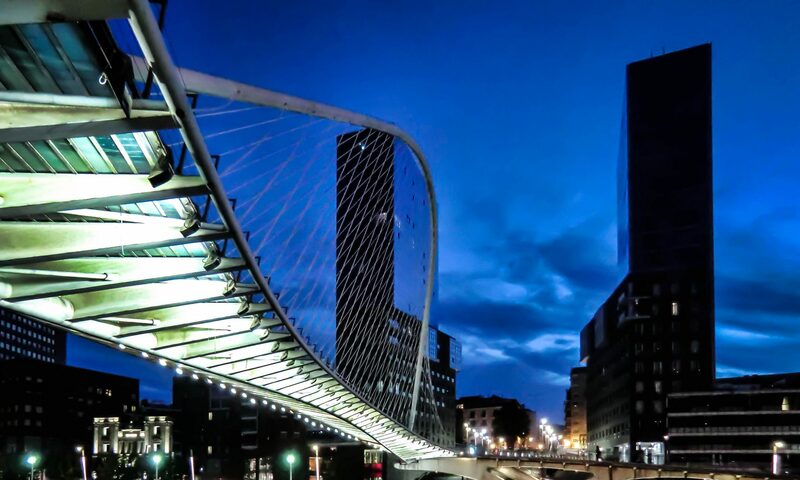 We will also dedicate a space to this city, economic engine of the Basque Country and host of numerous events, and that has enough attractions to visit it with more time. Remember that this route is suggested by Taxiberia, based on the experience of our drivers, but our customers can develop a different route, more according to their tastes and interests and we will be happy to perform. Marbella is the most glamorous resort town on the Andalusian Costa del Sol and one of the most popular resorts for tourists worldwide. It is well known that this Malaga town is associated with influential people by their status has, which since the middle of last century, been able to attract big businessmen, artists and, in general, all types of known and influential people in our society. However there are not only the jet-set summers in Marbella, but its climate and beaches attract tourists from all walks of life who want to enjoy the beautiful town bathed by the warm Mediterranean Sea. One common service requested by our clients visiting this area is that we take them shopping in Marbella, offering a wide variety of shops and establishments of all kinds, from global luxury brand shops to modest but not less interesting, craft bazaars and markets. 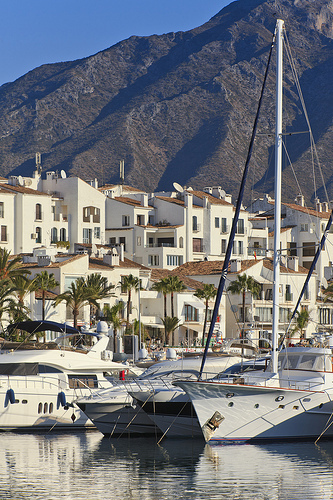 If you are on a high budget and luxury appeals to you we cannot fail to visit Puerto Banús. In this part we will find the most exclusive shops in the Costa del Sol, where we can buy jewelry, fashion, accessories and everything you can think of, all of the best brands and backed by world famous designers. Browsing all the stores in Puerto Banús can leave both your bodies and your wallets exhausted, but is a must for anyone who loves glamor. In the area around Ribiera Street tourists stumble upon the highest standing members of society, with their luxury vehicles and may find themselves close to an establishment to be served exclusively due to the high amount of money that can be spent there. 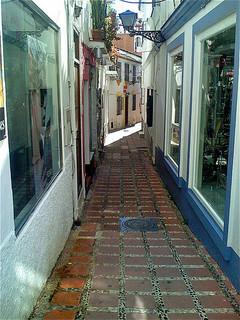 The so-called “Golden Mile” stretches from Marbella to Puerto Banus Marbella old town. The Avenida Ricardo Soriano is the main artery of Marbella, a succession of five-star hotels, high-end shopping, fine restaurants, exclusive shopping malls and private residences that will leave us breathless with its lavishness. 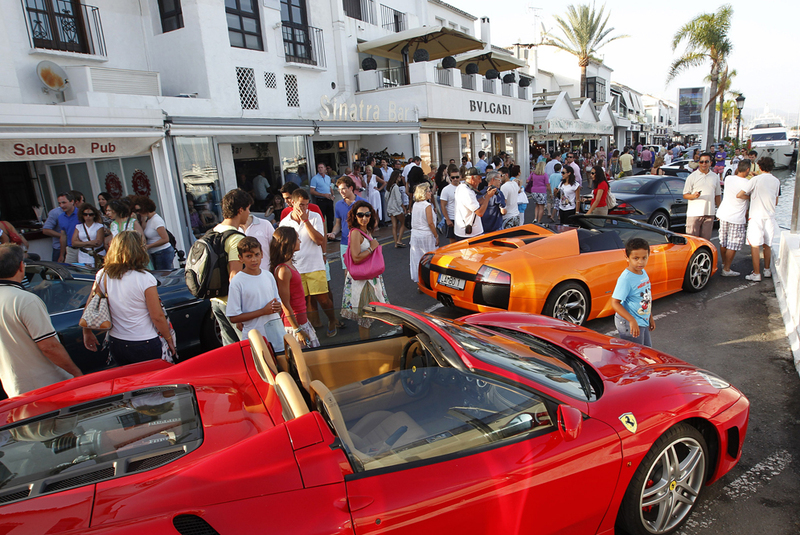 Not surprisingly one of the main events related to luxury shopping is held in Marbella; the Marbella Luxury Weekend. This event brings together for a whole weekend the crème de la crème of the luxury sector worldwide. During the summer, many of these luxury shops extend their opening hours until dawn, which can combine shopping with another essential Marbella: holidays. The Marbella nightlife is legendary and the town is full of exclusive nightlife establishments in which you can enjoy the cosmopolitan atmosphere and high standards that gave fame to this town. And what better way to get around Marbella, both day and night in a luxury car with driver? Taxiberia offers this service and any other type of transfer you need during your stay on the Costa del Sol. Traveling in one of the Taxiberia vehicles, you can make the most of your shopping trips and nightlife of Marbella and feel firsthand the glamor and exclusivity that permeates this city. Over the past decade, Spain became one of the destinations, more defendants by the collective LGBTI. To the obvious attractions that have always attracted tourists to our country, should add the adoption of the gay marriage law, which has attracted the attention of this group when choosing a vacation destination. Since Spain has become a fashion among the collective LGBTI have developed infrastructures hospitality and leisure in general this sort of customer-oriented, which are always a good deal for the tourist industry. As well, there has been a proliferation of “gay friendly” establishments through out the country, but there are several destinations that are preferred by tourists for its atmosphere and tradition. This review is not intended to be a guide to hotels or other establishments geared to the gay clientely, we just want to give some clue about some destinations where the presence of this collective is significant and where to find a favorable atmosphere for you to enjoy your holiday. For those interested in these destinations will not be difficult to find this information in the numerous thematic websites that flood the network. We began our listing for the capital, in particular by the famous fashionable Chueca neighborhood. This corner of the center of Madrid has under gone a major transformation since the early 1990s and has become a world reference point for tolerance and coexistence, which has been reflected in the emergence of a commercial fabric and hotelier in the service of a thriving gay community. In the neighborhood of Chueca are the Gay Pride celebrations attract visitors from all corners of the planet, and which have become one of the most multitudinous of the Spanish capital. 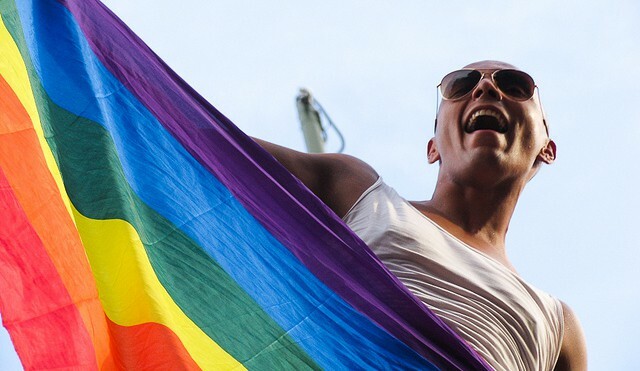 The Gay Pride Parade is the culmination of the festival, an event full of color and wildness that combines the party with the claim, confirming that Madrid is one of the more open and tolerant cities of Europe. Another of the most visited destinations because of the LGBT community in Spain is the catalan city of Sitges, in the region of Garraf. This picturesque coastal village is a classic of the gay tourism since decades and its streets are full of shops of all types to this clientele. In addition, it is just 35 km away from Barcelona, a city of also is modern, open and tolerant with a great atmosphere. 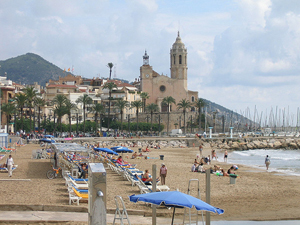 Sitges has beautiful beaches and very animated, in addition to an old town crossed by small streets, always full of people in high season both by the day, thanks to a flourishing trade, such as at night, with a great atmosphere thanks to its bars and nightclubs open until dawn. Another of the classic “gay friendly” destinations in Spain is the island of Ibiza. This island is one of the Balearic Islands and is well known for its festive and cosmopolitan, and attracts thousands of young people from all over the world who are looking for a holiday of sun, beach and nightlife is spectacular. In Ibiza we can enjoy its peoples, its festivals, its people, its beaches and its suggestive landscapes. It is an island that has it all and has attracted tourists from all over the world from a long time ago. In addition, there is always a wide cultural offer for those who are looking for a little more than party, sun and beach. where you live the party until the early hours of the morning. The area where more LGBT tourism-oriented establishments we find is the La Nogalera, located in the center of the Andalusian town. Finally, we cannot fail to mention the beaches of Maspalomas and English in Gran Canaria, other tourist destinations with a wide acceptance among homosexual. This has the advantage of having a mild climate throughout the year, so we don´t have to wait for the summer to spend a few days enjoying these magnificent beaches. My final recommendation, we would remind you that Taxiberia is the best choice for both private transfers by the tourist areas or to go to cultural and sports events, how to recruit easily transfer from any Spanish airports to the hotel that was booked for your holiday. With just a click away from your computer, we will be at your disposal for the service you prefer.